They’re building blocks. The forum is called baby pips and its a forum for education in forex, teaching newbies, or babies in the forex world, the basics and the school is meant to show you how to take you’re first steps. they’re baby building blocks. It’s just that simple. Maybe they should sell dice with long or short on pairs and it would be a good trading system. yeah… Buy, Sell, Hold, Rest… 2 more options then we will have a great trading system! Jesus said that we should love our neighbor as we love ourselves. How can you do that when you profit only at somebody else’s expense? It is a violation of Jesus’ most basic commandment for humanity. And to give to worthy causes from Forex earnings may be great, but the end never justifies the means! I personally consider Forex now essentially a form of legalized stealing and robbery. The experienced Forex trader is committed to “fleecing” those who are inexperienced! The church is different from the Christianity. 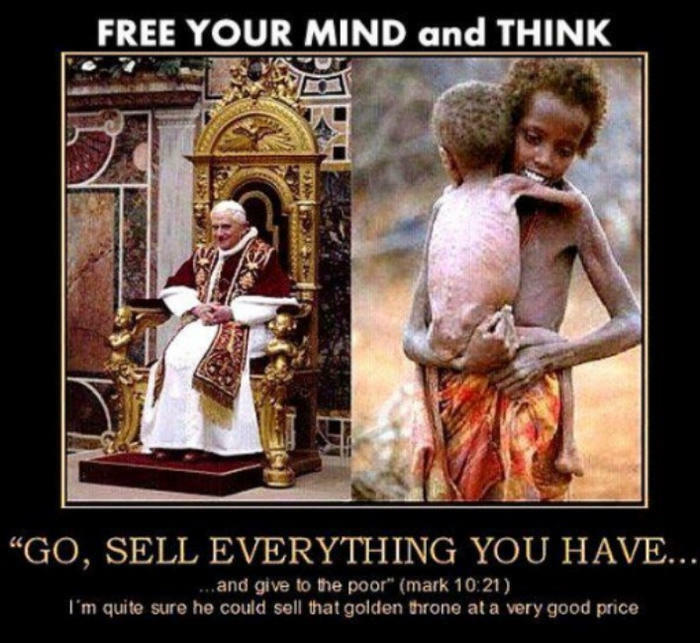 I agree the church is mostly stealing from the people these days. Any content that we deem as inappropriate language or subject matter will not be tolerated. That includes foul language, or content of a sexual, racial, or [B]religiously offensive[/B]/discriminatory nature. [B]“Jokes” about these topics will not be tolerated[/B]. Related slang terms will not be tolerated. Asterisk-ed words will not be tolerated. By the way Roman Catholics or catholics believers all over the world are not Christians but bunch of idol worshippers and self righteousness under the guise of christianity. So do not be deceived. I am talking about the true pentecostal ministries here under the influence of the power of God through the Holy Ghost and Bible believing only. I came here looking for some other thread, and I found something even more shocking. Firstly Im agnostic, the group that belongs to the there could be, there might not be, I just dont know cant make up my mind fence sitters. I was quite religious up until I got married. My husband is an atheist. A militant atheist at times. I guess you can say I was led astray by a disbeliever! What shocked me is that they are also big on haram this and haram that. Haram means forbidden because its sinful etc etc etc. the latest was a fatwa or something along that line saying celebrating valentines is haram. Which prompted my husband to declare that valentines is from now on hitherto known as valenswines day in Malaysia. I was just reading the other day how Israel is being taken over by the orthodox who refuse to work, insist that the government pay for their up keep, refuse to enroll in the draft and compulsory military service, ( which ironically is to defend them from the errrr unbelievers. The other group who is trying to wipe the jews off claiming they abandoned gods original teaching )., have a dozen kids each, and are happy living off regular joes like you and me who have to slog it out and part with half of the earnings so that the government can continue to get the ultra orthodox votes, and the ultra orthodox can continue to live how people lived 2013 years ago. I only know one thing. I use to think my husband was an Opinionated hick when it came to the subject of god or religion. I now believe that he is right when he says fundamentalism and fundamentalist of any religion should be shot on the spot for the sake of humanity. With that being said, I would like to end this post by sharing a picture he once showed me online. This is where I started to think for myself and examine my own belief systems. Disclaimer : In no way am I pointing out that the above is a malady affecting only Christianity, or the Catholics in particular. There are also pictures highlighting the same double standards in every religion of the world, including the religion of my birth, Hinduism. I just knew where to find this particular picture. Sorry this is just a little pet peeve/ocd of mine. I get mildly annoyed when people refer to agnosticism as if it’s a neutral stance between atheism and theism. (A)Gnosticism is a stance on knowledge, while (A)theism is a stance on belief. And yes in case anyone asks there is such a thing as a gnostic atheist or an agnostic theist. Again, I apologize for this. Do carry on. I was replying a mail to a good friend but I was not able type and think at the same time. The reason was I could not help thinking if I should have posted what I thought regarding the above before that. The reason is religion is best left un debated, as it is known to offend more than it has ever united humanity. But than, I had said what I felt, and it might be the ultimate truth, or it might not. Each to their own. I think the original meaning was the same but over time it became a term of abuse. LOL, well if you ask me, I believe that anyone who uses such words to classify or group human beings should be brought to the book. But than, the world has never been in balance. What might be a big offense on one corner of the world, might be so common on the other end, and it wont even raise an eye brow. Me, I believe people can only offend me if I allow myself to be offended. If they want to be dumb as hicks, be my guess. Stupidity does not offend me. Ok let me assume the image is not DICE but not assuming forex trading is’nt gambling, betting which George Soros who is probably most of you guys role model is reffered to as gambler in media these days George Soros ‘makes $1.2bn betting against yen’. Of course God does not approve gambling neither does he needs PROCEEDS from gamblers in tithe and offerings. The answer is "Proverbs 13:11. I can go on and on but those who have ears let them hear. PS - babypips used “betting” when explaining meaning of fx trading in their school and so I still won at last. So in your descriptions - No one should either be in debt to anyone else - -and niether should they borrow TO anyone. In this case then 99% or more of all of everything is a sin. From buying groceries on a credit card . … . to having a mortgage for a home - - AND shame on credit card companies lending money - - and mortgage brokers lending too. I myself am a member of the one and only true church, The Church of Scientology, and we are also actively trying to ban gambling from our present so that our thetans can enjoy this earth for contractually agreed billions of years to come in the drug and addiction free world. To the site admins. Please don’t delete this comment because then we, Scientologists of the world, might get an impression that you guys at Babypips HQ are favoring proselytizing of one religion (Christianity), over another on this ?currency trading forum? . You are asking Babypips to not do something you just did by stating your church is the one and only true church. Your ironic hypocrisy is enough for me to ignore you outright. What Babypips decides is between you and them. Why are you like this, mastergunner? If these my lines of statement offends you catholics and feels I was being judgemental, I ve answered it already and in which case plead God for forgiveness and mercies. No offense intended.